When buying a new product, Millennials expect the full package…including the packaging. We all know that feeling of walking down the grocery aisle only to become totally overwhelmed by the vast expansion of endless options in all directions. In an ideal scenario, the product we’ve come searching for would meet each and every desired criteria, facing little to no competition for our attention. Unfortunately, that’s not so much the case. Rather, we face a shelf full of choices and are forced to narrow them down via internal checklist. As the years go by, the options on the shelf expand, giving Millennials more buying criteria to consider than ever before. Creating innovative packaging that appeals to Millennials can be the key to breaking down this barrier and winning over the next Gen Y dollar. Millennials are always looking for the next “cool” thing. Offering a limited edition collection gives this generation a sense of exclusivity and a feeling of prestige. Additionally, brands can use limited edition packaging to stay current with seasonal and promotional events. Coca-Cola is notorious for implementing this technique. 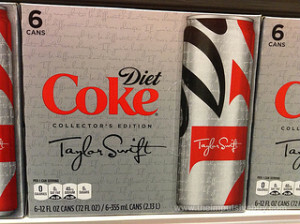 Last fall, Diet Coke created a Taylor Swift collector’s edition can in celebration of individuality across the country. The design featured Swift’s logo and one of her popular quotes. For the 2012 Olympics in London, Coca-Cola created aluminum bottles for a limited time featuring the Olympic logo and colors. Mac Cosmetics is another company known for its limited edition packaging. The prestige makeup brand has featured specialized packaging themes ranging from Wonder Woman Colour to its Venomous Villains Collection in partnership with Disney. Other brands have used limited edition packaging in accordance with philanthropic efforts. Campbell’s Soup offered three different limited edition pink and white labeled cans to show its support for National Breast Cancer Awareness Month. Our research has shown that 55 percent of Millennials are likely to develop a more positive image of a company as a result of cause marketing. One way that brands can tap into this trend is by executing eco-friendly packaging techniques. Method, a natural household cleaning product brand, created the world’s first bottle made with ocean plastic and recycled plastic. It simultaneously won itself editor’s choice in the 2013 Dieline Package Design Awards for its sustainability and aesthetic appeal. Lush Cosmetics came out with the Little Green Bag, its self-proclaimed “greenest gift.” The package features a reusable wrap and tins, five unpackaged cosmetics, and a recyclable cardboard sleeve with instructions. 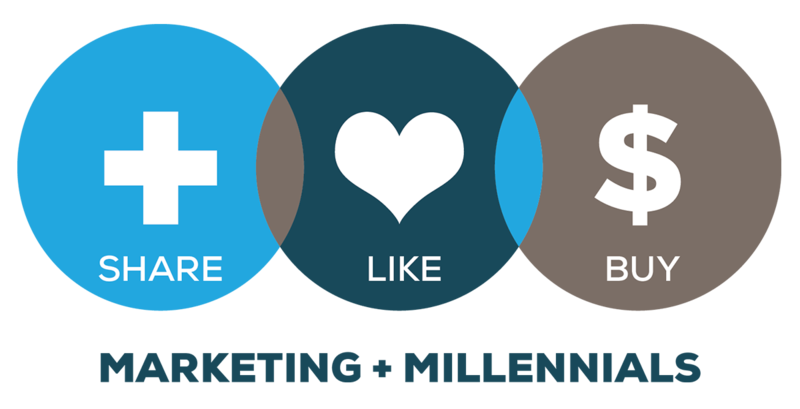 Millennials are early adopters of new ideas and look to brands for the next big idea. They want a brand that can quickly adapt to their rapidly evolving wants and needs, and more importantly, one that will unleash their desire for convenience. Heinz embraced this trend with the release of the Heinz Dip & Squeeze Ketchup dual-function ketchup package that makes eating on the go both convenient and functional. BANDiful recognized the common challenge of using one hand to apply a bandage. It adds a functional benefit by providing a design that avoids extra steps in unwrapping bandages. In a world full of screens and anonymity, Millennials seek a human element in brands. They want to see brands as people with personalities. 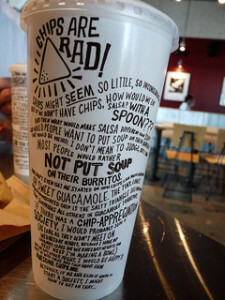 Chipotle is a prime example of a brand that exudes human-like qualities. Consider Chipotle’s carry out bags and cups. They each tell a unique story that highlights the brand’s value of “food with integrity” with a touch of humor. Absolut Vodka’s Absolut Unique collection features four million unique bottles, giving each one a personal identity, so to speak. This packaging concept gives customers a special buying experience that allows them to pick a bottle that matches their own personality. For more examples of fresh and innovative packaging, check out the Dieline Package Design Awards. Lauren Katz contributed to this post. Photo credit: Flickr via theimpulsivebuy & thisreidwrites and Absolut.